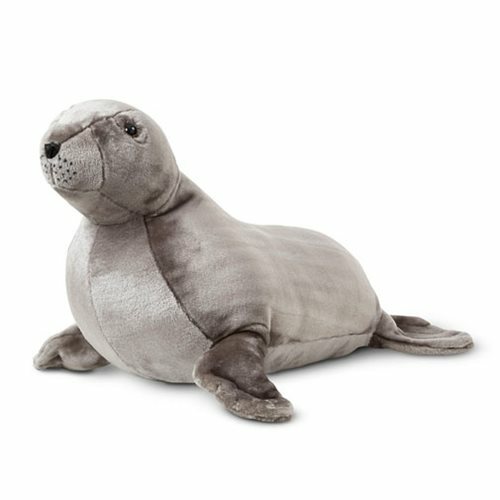 With its bristly whiskers, plush gray surface, little black nose, and long floppy flippers, this adorable Sea Lion Plush from Melissa & Doug might just become your child's favorite new pillow! Soft and cuddly, the 25-inch long x 20-inch wide x 14-inch tall Sea Lion is the perfect friend for any little mariner or sea mammal fan. Ages 3 and up.